Misinformed fears about the threat of Ebola and the sporadic spikes of terrorism in certain parts of neighbouring Kenya have both taken a toll on Tanzania's tourism over the past couple of years, with tourism arrivals notably down in 2015 compared to 2014. But with the furor around Ebola slowly petering out (with any lingering threat found closer to London than it is to Tanzania), and with little chance of Kenya's problems trickling across the border, the wiser and braver among you might have already discovered that there is probably no better time to experience this stunning part of East Africa. Tanzania's numerous stunning wild spaces and tourist attractions have certainly lost none of their shine, and most are currently uncharacteristically free of the droves of tourists that have descended on them in past years. 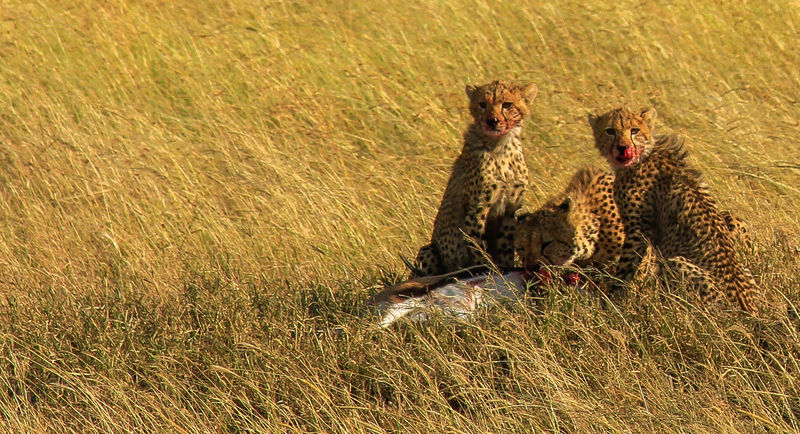 This celebrated safari circuit centers on the Serengeti and Ngorongoro Crater. If you close your eyes and imagine "safari", the Serengeti is what you'll see: seemingly-endless grass plains, great herds of wildebeest, flat-topped acacias punctuating the horizon, stellar sunsets and so many big cats you might think you're hallucinating. Driving around this enormous national park you're likely to find yourself singing the theme song to the Lion King. Unsurprisingly, the Serengeti came out comfortably top of the pile in SafariBookings' recent list of the 50 best national parks in Africa. On the fringes of the Serengeti, the Ngorongoro Conservation Area has just as much allure and is a UNESCO World Heritage Site. Here you can witness the Maasai people continuing to practice their traditional way of life whilst co-existing with an unprecedented population of African fauna. The Ngorongoro Crater, the largest caldera on earth, is home to the majority of the big game and provides a truly unique backdrop to the game viewing experience. The Northern Circuit also has a number of lesser-known gems. The relatively small, peaceful and very pretty Tarangire National Park has one of Africa's highest densities of elephants, while the coruscating and almost other-worldly expanse of Lake Natron boasts a staggering flamingo population and is presided over by an active volcano known to the Maasai as The Mountain of God. The best way to enjoy this feted safari circuit in all its unadulterated glory, like you're Ernest Hemingway himself, is on a luxury private camping safari, such as Tanzania-Experience's Mobile Explorer Safari option. The Southern Circuit is often neglected by tourists in favor of the more famous Northern Circuit, but this is a large part of its appeal. Ask your Tanzanian guides what their favorite park is and many will single out one of the Southern Circuit behemoths, either Ruaha or Selous. At a staggering 45,000km2, Selous Game Reserve is Africa's biggest game reserve and one of the biggest protected areas in the world. To put that into perspective, the reserve is bigger than Switzerland, but with lots more game and a lot less Swiss people -- or any other kind of people for that matter. This vast and remote wilderness area is a great place for river safaris on the Rufiji , Tanzania's largest river, as well as the ubiquitous game drives. 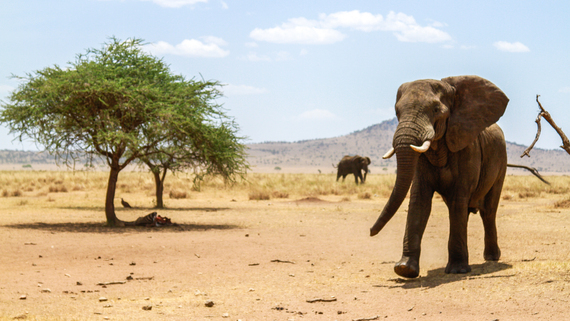 In the Eastern Rift Valley, Ruaha National Park is characterized by enormous old baobabs and, alongside Tarangire on the Northern Circuit, it is home to one of the largest elephant populations in Africa. The plains are great for predator sightings, while the swamps house healthy hippo and croc populations. The park is one of the best places in Tanzania to see the critically-endangered African wild dog; it's also one of only a small number of national parks in Tanzania that allow walking safaris. Other highlights of this circuit include the Udzungwa Mountains and Mikumi National Park. 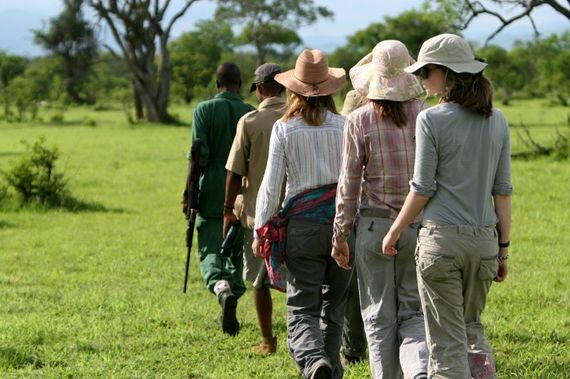 Another thing that puts Tanzania ahead of the pack is the ease with which you can combine your safari with a relaxing tropical beach break or an adventurous mountaineering expedition. All along the east coast of Tanzania you'll find no less than 804km (503 miles) of sublime Indian Ocean coastline and pearly-white palm-fringed beaches with some magnificent islands offshore. The most well-known of these tropical island idylls is Zanzibar, but there are a handful of other hidden gems that serve up a similarly sumptuous platter of sun, seafood and seclusion, with a healthy dash of history and culture thrown in for good measure. The Indian Ocean coastline is also a spectacular area for snorkeling or scuba diving, with the marine life as abundant as the wildlife inland. Mountains are also found in abundance across Tanzania. The big star here is undoubtedly the incongruously and iconically snow-capped Mount Kilimanjaro, a dormant volcano that finds itself in elite company as one of the world's Great Seven Summits. 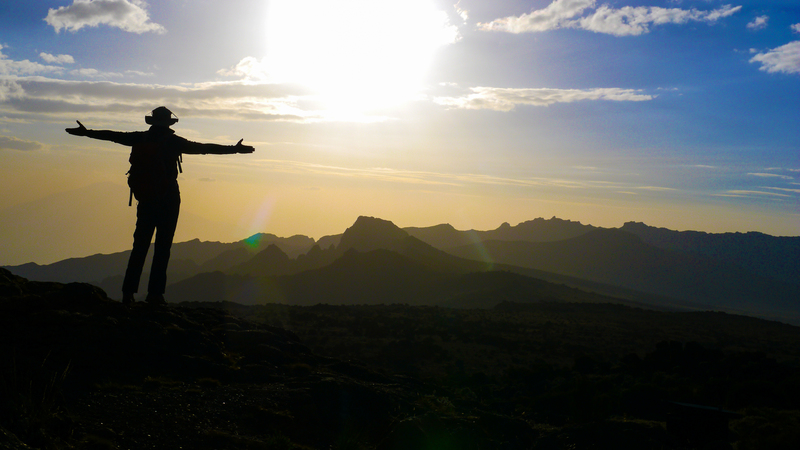 Kili is Africa's tallest mountain at 5,895m, and also the tallest freestanding mountain in the world, but it is the most accessible of the Great Seven Summits and can be climbed via a number of different routes. Mount Meru is only slightly Kilimanjaro's junior and is a shorter if equally trying climb. Ol Doinyo Lengai is arguably the toughest climb in Tanzania. An arduous one day hike takes you inside the crater rim of this active volcano. There are more than 120 ethnic groups in Tanzania, each of whom have their own distinctive histories and cultural traits, but all of whom are equally interesting and, for the most part, welcoming. The iconic semi-nomadic Maasai, with their distinctive attire and jewelry, have become particularly synonymous with safaris in East Africa. Less exposed to tourists are the Hadzabe, hunter gatherers indigenous to north-central Tanzania, who number less than 1,000 and have no known relation to any other ethnic group. They are among the last hunter gatherers left in the world. The so-called Swahili Coast was a favored stop on ancient trading routes between the Indian sub-continent and the Middle East. Spices, jewels and slaves once passed through here, bringing with them a mélange of cultural riches that remain today. Tanzania has seen little of the ethnic or religious-based violence that has afflicted certain other nations in the region. In fact the country is an inherently peaceful place and embraces its multicultural heritage, which adds to its broad appeal.